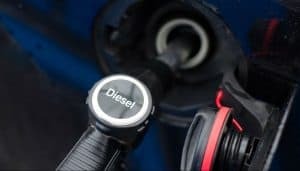 The UK government has reassessed its attitude towards diesel cars, if comments from business secretary Greg Clark are anything to go by. In a speech at the recent FT Future of the Car summit, Mr Clark said there was still “a place for diesel vehicles and there will be for some time to come”. He also hinted the forthcoming Road to Zero policy would include recommendations for diesels for some buyers. These comments clash violently with anti-diesel measures made by the government in the past 12 months that have resulted in increased taxes for new diesel cars as well as proposed low emissions zones where diesel cars would be charged for entering. The government has also plans to ban the sale of new diesels from 2040. Leaked sections of the forthcoming Road to Zero strategy say that any vehicle that can’t cover at least 50 miles on electric power alone would be prohibited from sale from 2040. According to comments published in Auto Express, Mr Clark said: “I think it’s important to say that new-generation diesel engines can make a big contribution to reducing our emissions. He went on to explain that driving a diesel-powered car long distances has “a very different impact than in the city”. “We need to make sure people make the right choices for the environment and for their own use,” Mr Clark added. Other highly influential figures have expressed similar views in recent months, most notably SMMT boss Michael Hawes, but Mr Clark’s comments are the first time we’ve heard them from a government official.